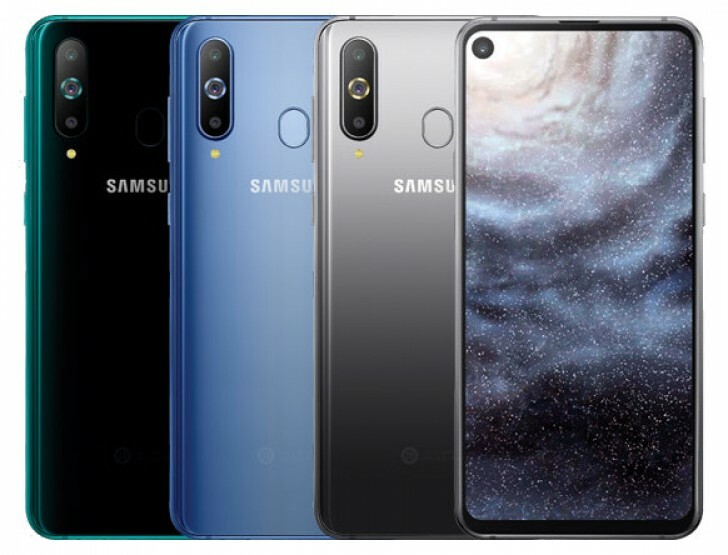 Galaxy A10 could be First Samsung Phone with Under-Display Fingerprint Scanner - Playfuldroid! It has been in rumors since nearly five years that Samsung is working on introducing in-screen fingerprint scanner feature on its flagship smartphones. However, the current scenario is such that Samsung is yet to release a smartphone with such a feature while various Chinese brands have already launched smartphones with the advanced biometric recognition feature. Samsung is now working on bringing flagship features on mid-range and upper md-range phones. Hence, it has launched the Galaxy A9 (2018) with quad cameras and Galaxy A8s with in-screen camera. Fresh information coming from reliable tipster from China reveals that the upcoming Galaxy A10 could be the first smartphone from the company to feature an in-display fingerprint reader. There is a possibly that the Galaxy A10 could be equipped with an optical fingerprint scanner. Some of the rumors have even claimed that the Galaxy A10 could be powered by Snapdragon 845 chipset. This seems possible since the Galaxy A9 came with Snapdragon 660 and the Galaxy A8s is powered by Snapdragon 710 chipset. Probably, Samsung may use the Mobile World Congress (MWC) tech expo that will be held in Barcelona, Spain in February 2019 to announce the Galaxy A10 smartphone. As far as, the Galaxy S10 and Galaxy S10+ smartphones are concerned, these phones could be equipped with more accurate ultrasonic in-display fingerprint scanner. The rumor mill is expected to reveal more details on the Galaxy A10 smartphone in the coming weeks.